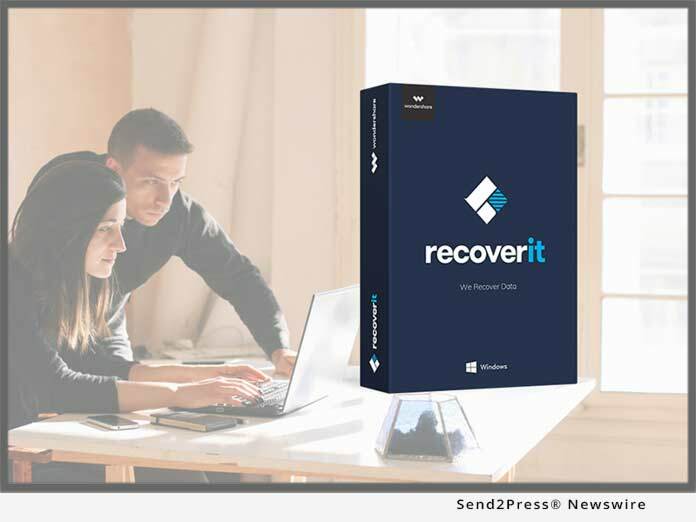 SHENZHEN, China, Oct 25, 2018 (SEND2PRESS NEWSWIRE) -- The latest update of Recoverit from Wondershare is an exceptional tool that can perform a quick photo recovery on Mac as well as Windows. The company has also released a freely available version of its phone photo recovery tool so that its users can make the most of its services without paying a single dime. That is, the tool can be used as a photo recovery Mac and Windows solution to retrieve the lost photos on one's local system. At the same time, one can also use it as a camera, SD card, USB drive, external hard drive, Android, or iPhone photo recovery software. * Recoverit can retrieve the lost, deleted, or inaccessible data under different scenarios. Some of them are virus attack, corrupt partition, accidental deletion, etc. * One can perform a direct picture recovery on Mac or Windows without any prior technical experience. * Not just a system's native storage, the mobile phone photo recovery tool is also known to yield positive results to recover data on various external devices. * It has a user-friendly interface and boasts one of the highest success rates in the industry. * As of now, this Windows/Mac photo recovery tool supports all the leading formats like JPEG, PNG, RAW, BMP, etc. Currently, it supports the recovery of more than 550 different file formats (videos, music, zipped files, emails, and more). * Since the interface provides a preview of the retrieved data, users can easily select the photos they wish to restore. * Different scanning algorithms are implemented in order to meet every kind of requirement of its users. With over 5 million customers in 150+ countries, Wondershare is one of the most trusted technical brands in the world. The company is providing data recovery solutions since 2003 and is known to come up with the world's first recovery tool for iOS devices as well. Trusted by experts, the firm believes in creating innovative, life-changing, yet easy-to-use products. It has a global presence with centers in cities like Vancouver, Tokyo, and Shenzhen. Recoverit is their latest data recovery product, which is equipped with cutting-edge features and has one of the highest success rates in the industry.